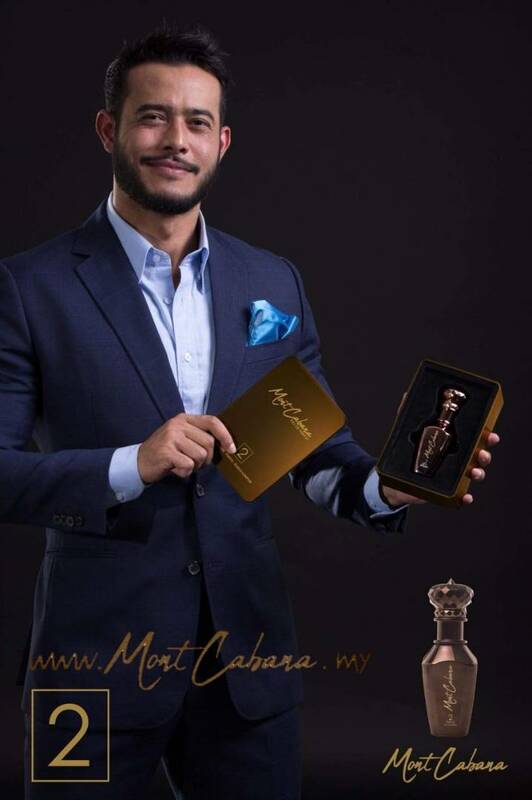 Premium Perfume by Mont Cabana. A woman who doesn't wear perfume has no future - Coco Chanel. A perfume does play role in someone life, and as a woman like me I felt that my dress up will be not complete without a dash of perfume in my wrist or my clothes. The add on of perfume to me always brings me confident to anywhere I go. A perfumer of a perfume collector will usually had more than 5 types of perfume at one time and as for me I had 3 different types of perfume that I used in a different occasion or mood. Yes, the scent of perfume always brings out the mood to the wearer or even to the one who scent it. And perfume also came in different range like mist, eau de toillete, eau de parfum and of cos the premium one. Any of you heard about the Premium Perfume by Mont Cabana? Founded in 2018 by parent company, Fragrack Sdn Bhd, Mont Cabana is a Malaysia-based perfume exclusive designed and brewed to be high-quality fragrances for a worldwide audience. Distinctive style and and class drive the brand, a dedication that made evident in products through both the fragrances itself and the carefully designed bottle that acts as an introduction to the exceptional contents found within. 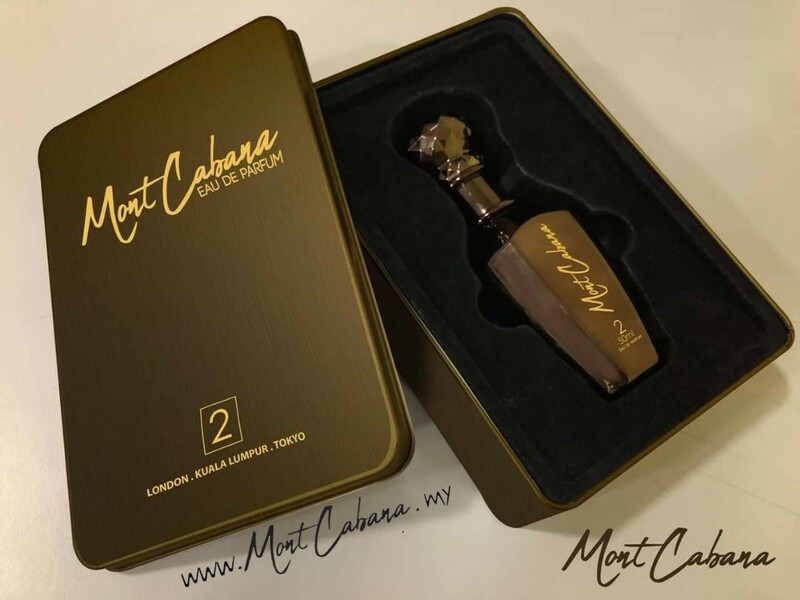 Mont Cabana is a new released perfume from Malaysia that have their own unique and originality scent. This perfume is NOT INSPIRED perfume which they've have their own research and development process by their owner at their own factory. Another unique factor about this perfume is all the collection will be released and collaborated with artist or public figure. 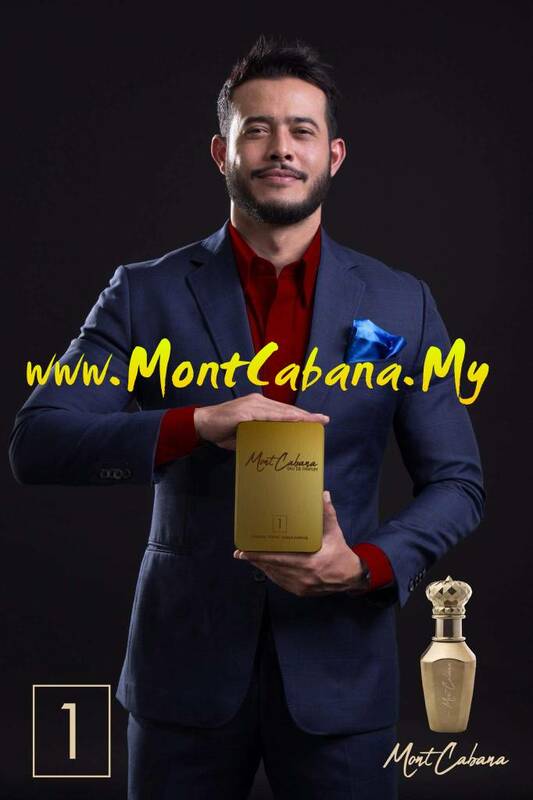 For example the first launched of Mont Cabana 1 & 2 is featured Zul Ariffin as their ambassador. A perfume collector of course love a great looking bottle and casing right. 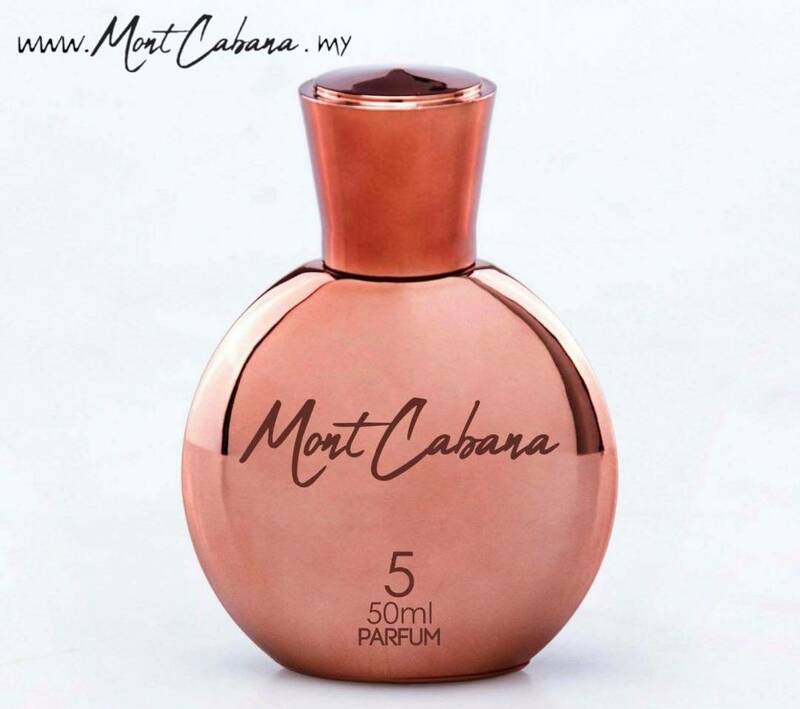 Mont Cabana were sold in exclusive product presentation with a metal casing and classy bottle. The best part of this perfume it has a very long lasting fragrance that will last until 24hours. For the beginning, they will use the Eau De Parfum(EDP) category for their perfume and after this they will change to Parfum, more exclusive perfume. For this 2018, there will be 24 types of perfume will be released and as on this May 2 types of perfume for woman and man were released. Another 22 perfume will be released based on their schedule. Coming out early 10 May 2018, Mont Cabana 1 for her is announced as a dazzling fragrance that represents interpretation of love. Conceived by the ambassador himself, this scent is reminiscent of fresh picked flowers and exotic spices. The highly addictive feminine fragrance gives fascinating and seductively intoxicating scent as its opening notes of adrenaline-rich coffee and the sweet sensuality of vanilla recline into the softness of white flowers for a modern, young, and vibrant interpretation of addiction. Red berries and pear immediately exude sensuality and femininity. The exotic white datura flower, the soul of the fragrance, embodies desire and seduces the senses. Finally, this modern and daring floral scent is balanced by creamy white musks and patchouli. The experience is a passionate and unforgettable whirlwind journey. Its exhilarating combination of bergamot, black currant blended together with Caribbean magnolia, vetiver and vanilla gives out extremely alluring scent and is sure to last long. Such luxurious fragrance created for the fashion conscious woman that evokes beauty, life and love. Mont Cabana 2 still continues to seduce men and women with its captivating fragrance. An appealing blend of Sicilian fruits, crisp lavender and warm notes of sandalwood, it is a sensory hallmark of style and sophistication. It begins with a combination of floral powdery notes, hints of peony and lychee and springtime freesia. A soft touch of essence with a juicy and sweet blend of strawberry, raspberry musk and rose blend as top notes. The airy, flirtatious head notes drift away to reveal the richer and more sensual side of the rose. The distinctive character of this unique rose is accompanied by magnolia and lily of the valley, as well as subtle intimations of warm amber and elegant cedarwood. The fragrance is enclosed in a modern, delicately pleated bottle adorned with a hand-tied ribbon. Over time it opens powerful, sensual and strong, traditional masculine notes like wood, leather and musk are being fused with lighter, fresher notes to give a wholly ambiguous and seductive feel. This complex blend of olfactory notes, creating iconic unisex fragrances loved by both men and women. The fragrance is very versatile, it is intended for everyday use and is more than suitable for becoming someone’s unique signature scent. 1. 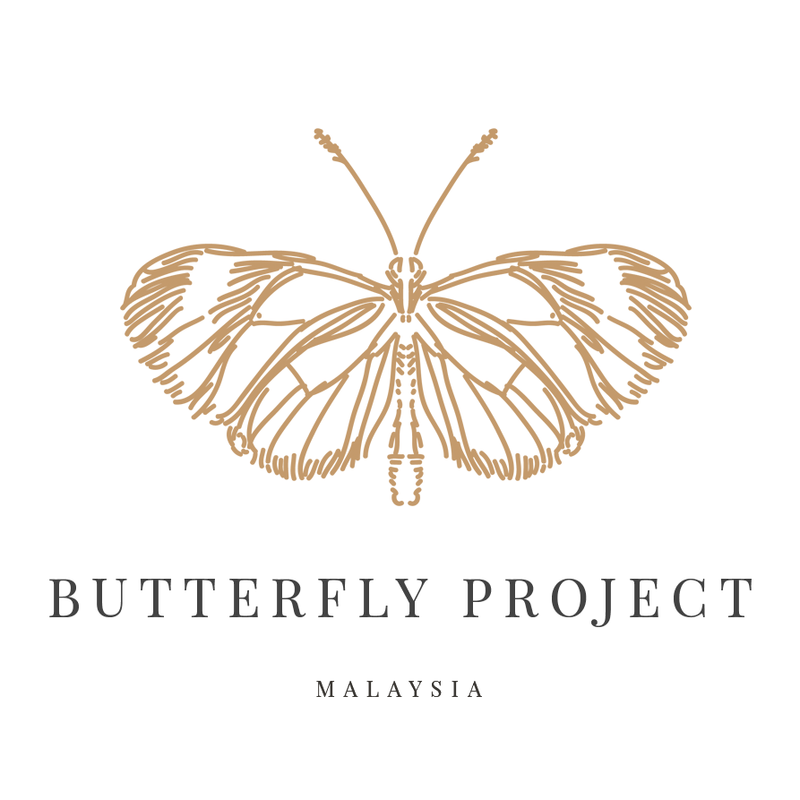 Postage services to all over Malaysia, Sinagpore, Brunei and Indonesia. 2. 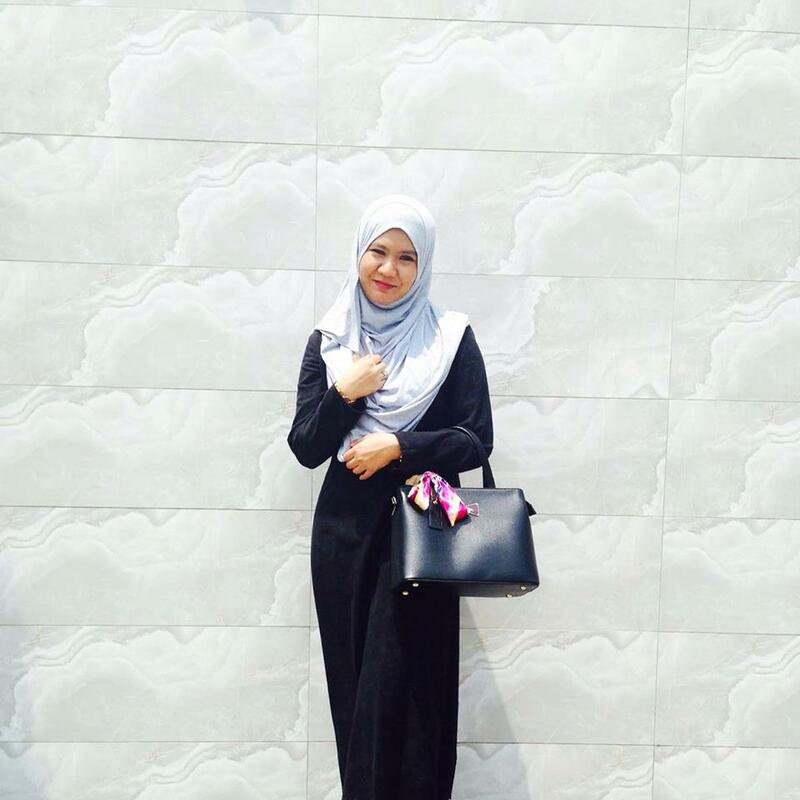 They provided agent all over Malaysia if you love using the Cash on Delivery system. All items will be send to your doorstep either at the office or home. 3. MontCabana.my have more than 10 years experience in online business, they guaranteed the efficient services and will be responsible towards anything that happen during the delivery process. 4. Montcabana.my also provieded the service of online banking either using the debit/credit card at their website. 1. Marketing coaching and also free marketing by offline and online. 2. The headquarters has budgeted for more than 2 million for the billboard marketing over the Malaysia and also through the television, radio, newspaper and others social media platforms. 3. Free marketing tools such as banner and flyers will be provided by the HQ to help the agent with the sales. 4. The easy and advance system were provided, and bonus and reward will be given to the top agent.